Home How do I know when is the right time to replace my windows and doors? How do I know when is the right time to replace my windows and doors? Not many people would consider replacing there windows and doors. The only times the really consider this is when things are starting to go horribly wrong. So why and when should you, consider their replacement? If you have timber windows has the condensation run down the inside of the window so much that if you now press the frame it has a ‘spongy’ feel, or outside has the weather has eaten away the timber behind the paint, leaving it not only vulnerable to rain but also break-in? Has double glazing misted up inside? Then are the things that you can’t see but are no less important. Windows mist-up because all double and triple-glazed units lose performance over time. Modern energy efficient windows are filled with argon gas, which helps to stop the escape of heat. The misting-up of a window is a sign of extreme failure but your windows will lose performance over time. If they’re 15 years old or over, you may want to consider their replacement with new high performance energy efficient windows and doors. Security – window and door manufacturers are fighting a constant battle against burglars to keep your home safe and secure. Again, if you have older locks on windows, no locks, or your doors were fitted a number of years ago, we would recommend a security check. New windows and doors naturally draw a line under all of these issues. New energy efficient windows and doors use better unit sealing, argon-filled units and the latest in low-iron glass, to deliver significant savings on heat loss and as a consequence the cost of heating your home. Feature multi-point locking and anti-bump and anti-pick cylinders and locking mechanisms. If your door is more than five-years old, it’s worth checking and considering upgrading the locks for more secure systems. 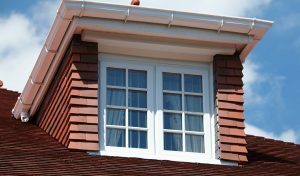 Appearance – windows and doors will define the look of your property, so if you can’t live with that mock-Tudor lead-work any longer or you want a more sympathetic match to your property with a woodgrain of coloured finish low maintenance PVC window it may also be worth taking a look at just what new windows and doors have to offer.